November marks the beginning of holiday season, stretchy pants season, and pie season, and we can’t think of a more appropriate place to celebrate than The Pie Hole. 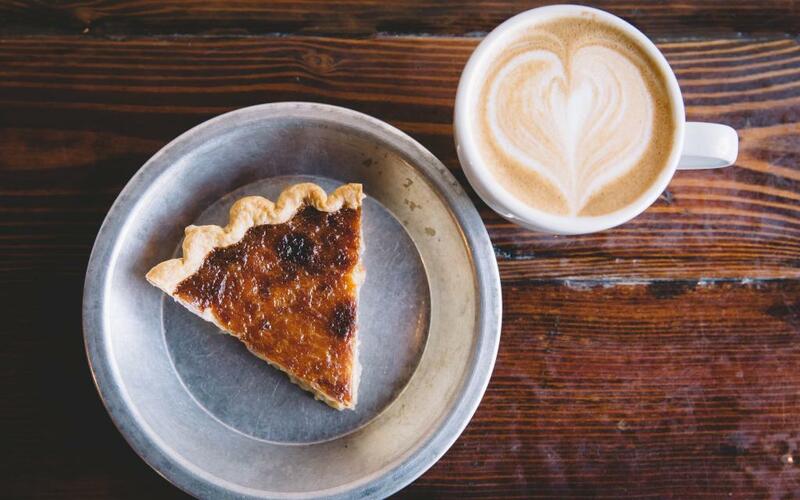 The Pie Hole opened in 2011 as a local family-run pie shop in the Arts District and has since expanded with several locations in L.A., O.C., North Carolina, and Tokyo. 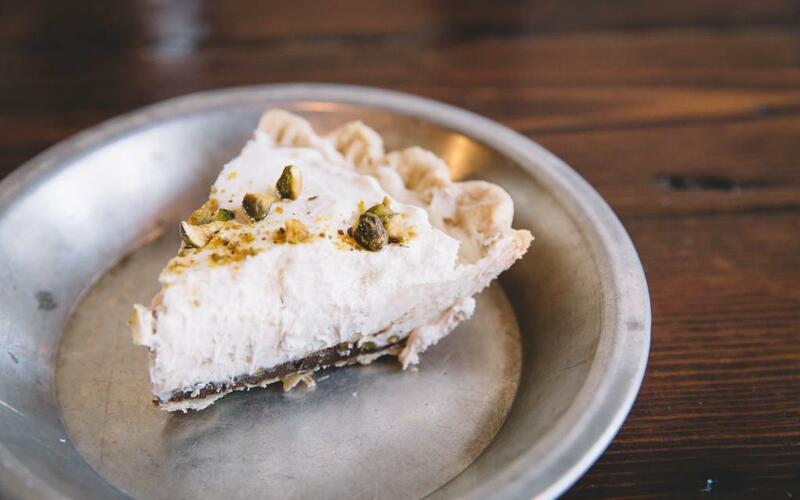 Its menu, which includes sweet and savory pies with classic and modern flavors, changes seasonally, and everything is made from scratch. 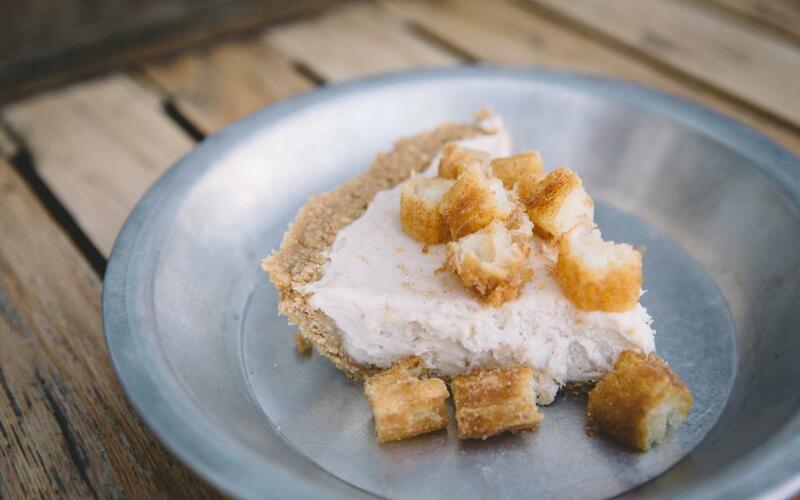 To help you choose the perfect slice, we ranked each of their sweet pies. If you want to win Thanksgiving dinner, they sell whole pies that you can order in advance. 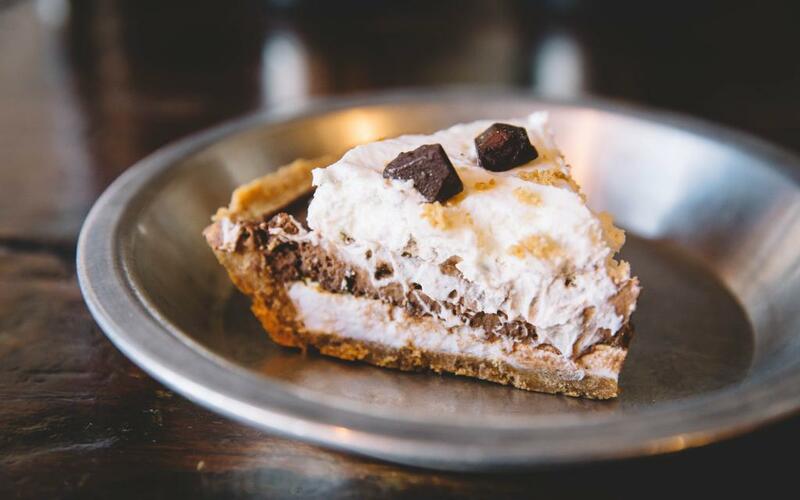 The s’mores pie is great for people who love s’mores but would prefer not to have melted chocolate and sticky marshmallows all over their face and hands. You get all the nostalgic flavors of a s’more and none of the hassle and mess of actually making one. It has a graham cracker crust, a thick layer of sticky, sweet marshmallow, rich chocolate mousse, and a big dollop of house-made whipped cream. This has not one, not two, but three of the best flavors ever: churro, Cinnamon Toast Crunch, and cheesecake. The churro cheesecake is a slice of soft, creamy cheesecake with a Cinnamon Toast Crunch crust, topped with chewy chunks of churro. It’s Pie Hole’s latest seasonal pie, and it’s only available on weekends. Another one of Pie Hole’s special weekend pies is its yummy maple custard. This pie takes a whopping 10 hours to make, which might explain why it’s only available on weekends. It’s a sweet creamy custard made with grade A maple syrup, and it tastes kinda like crème brulee. Pair a slice of this with a cup of Pie Hole’s signature house blend. Moe’s pumpkin pie is a Thanksgiving favorite. The recipe is four generations old, created by great-grandma Moe. It’s sweet with lots of fall spices and a classic butter crust. 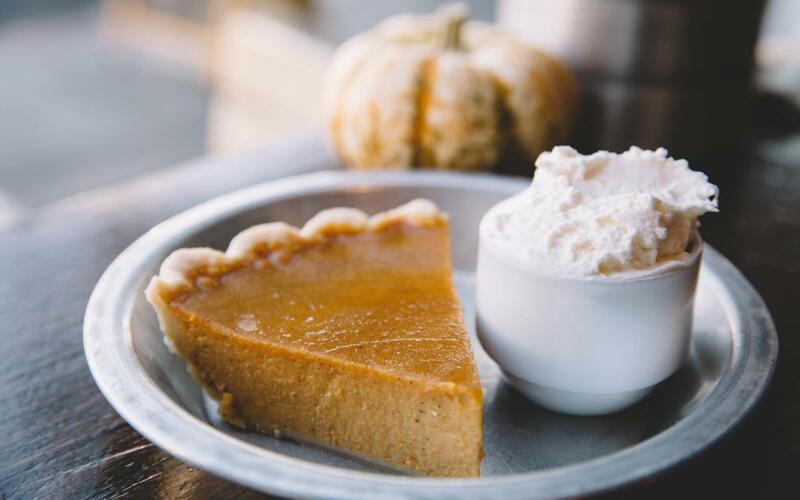 But unlike other pumpkin pies, the texture of this pie is super soft, almost custardy. Make sure you get this with the house made whipped cream on the side. This could be the best pecan pie you’ve ever had. 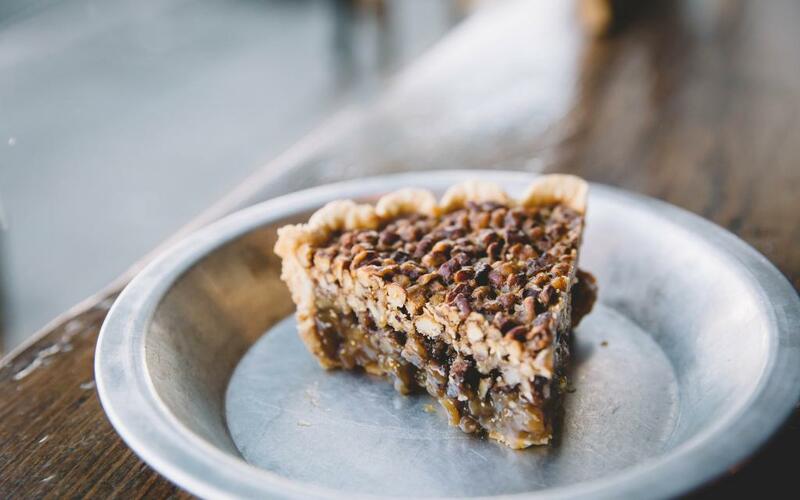 It’s got a densely packed crunchy layer of sea-salted pecans on top of an oozing layer of caramel and more pecans on a butter crust. (Pro tip: for maximum ooze, you have to eat this pie warm.) The sweet, slightly salty nuttiness pairs well with a milky latte. The pie that made Pie Hole famous is the Earl Grey tea pie. Since its creation, there have been numerous iterations all over town, but this one’s the best. A butter crust and a layer of dark chocolate ganache provides a base for the Earl Grey tea-infused white chocolate mousse, and it’s topped with whipped cream and roasted, salted pistachios. This pie isn’t as sweet as the other pies on the menu. It’s more floral with hints of cardamom spice. 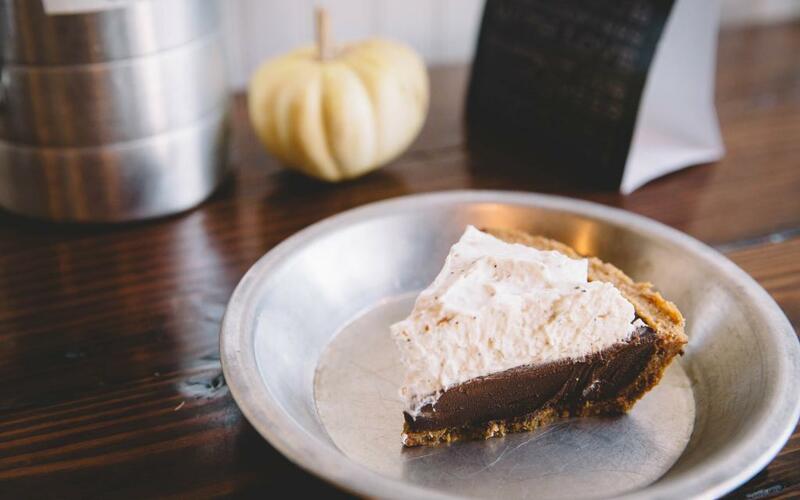 In addition to the Earl Grey tea pie, the Mexican chocolate pie is one of its more popular pies. The house-made Mexican chocolate is silky and rich with spice. There’s a serious layer of espresso-infused whipped cream, which could go in a piecrust by itself and make us happy. The chocolate, spice, and espresso are a heavenly combination, and the texture is light and fluffy. 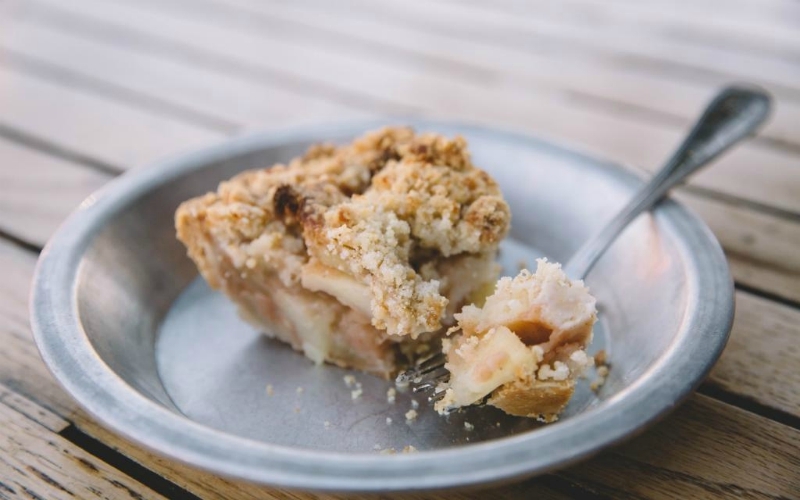 Apple pie is a classic “can’t go wrong” pie, but Pie Hole’s mom’s apple crumble is on another level. We’ll go so far as to say it’s better than your mom’s apple pie (just don’t say that at the Thanksgiving dinner table). The spiced apple slices sit atop a flaky butter crust, and it’s topped with a crunchy, crumbly upper crust. This luscious pie is best served warm with a few scoops of ice cream on the side. Previous articleStar YouTube Chef Byron Talbott on Where to Eat (and What to Avoid) in L.A.
Next articleWho Owns The Land Under L.A. Freeway Overpasses?